IDEA & ISAAC: Surely I'm Joking! : "This is Hyogo!" 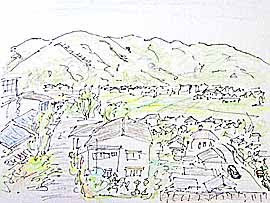 Your sketches both look very nice. 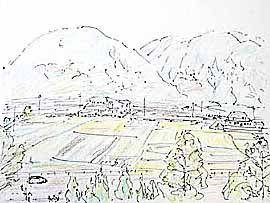 I?ve never been to Shiota Spa, but from your sketch I can tell that it?s a peaceful countryside. Tx, Obachan, for your kind comment. You had better visit Shiota Spa once for good relaxation.